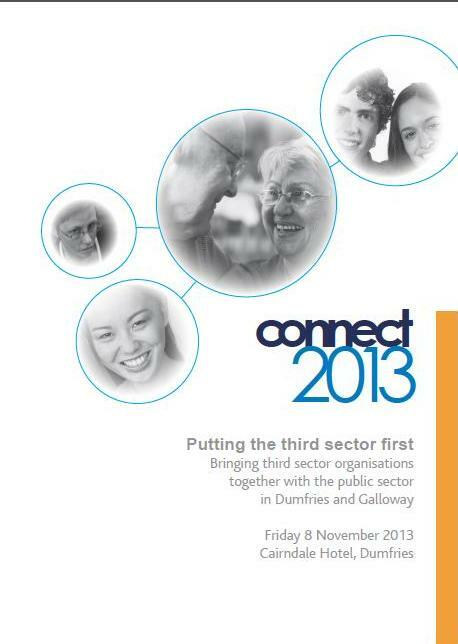 The results of Third Sector First’s survey will be revealed in full at Connect2013 – a conference being held in Dumfries on Friday 8 November that will bring the third and public sectors together to explore issues that affect the people and communities of Dumfries and Galloway. Visit www.connect2013.org.uk for more information and to book a place. Third Sector First is funded by the Scottish Government and Dumfries and Galloway Council to support and develop a strong third sector; develop social enterprise; develop volunteers and volunteering; and connect the third sector to community planning. This entry was posted in Third Sector First and tagged Connect 2013, Dumfries and Galloway, third sector, welfare reforms on October 28, 2013 by Ethos public relations news.